Raaz Reboot has collected an approx 2.25 crore nett on Tuesday (5th Day) at box office. Film is somewhat steady when drop in business is compared to Monday. However Monday collection is already in lower level and hence even steady business is not so much helpful for the film right now. Had Monday collection be on higher level then scenario would have been different. Raaz Reboot total collection after 5 days is around 22.85 crore nett. Film first week collection will cross 26 crore mark. Film may touch 30 crore nett in its lifetime but may not collect much after that. 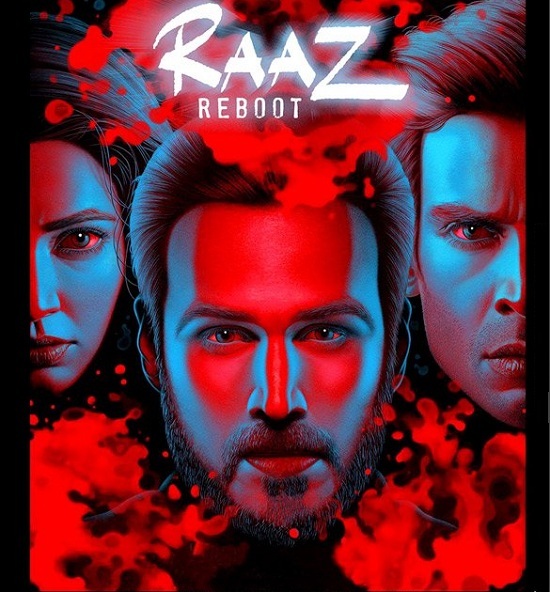 Raaz Reboot is made on controlled budget and even with that it will fail to recover its investment. Total - 22.85 crore nett (approx).